CoinMD Review 2018: The Next Bitcoin or the Next Big Scam? 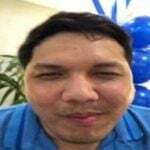 CoinMD is creating hype on social media in the Philippines and Nigeria in 2018. Believe it or not, people promoting this company think that their currency will be the next Bitcoin. There is so much excitement in Facebook as if they have found a golden opportunity in the cryptocurrency niche. Sometimes your newsfeed could be flooded with their controversial ads. See that promotion below. Relax because in this article I will tell you how the organization operates. What is CoinMD? Is it legit or scam? Will it be the next bitcoin? What are the problems that they are trying to solve? Before you hit that sign-up button, check this review first. CoindMD has no products to sell. Instead, people buy memberships for CoinRewards points and other perks. Earnings are based on the number of recruits. Commissions are paid using CoinMD’s CMDT and CMD cryptocurrency. The currency is not publicly tradable. Is CoinMD selling a Security? Their website says that CoinMD, Inc. is a private membership network designed to make healthcare more affordable. Linking world-class healthcare providers with an active pool of consumers. It uses the buying power of the network to negotiate deals that lower costs for members. Their beautifully designed web page says that the company is in Atlanta, Georgia. Unfortunately, their website did not disclose some of the essential information. 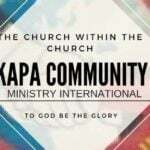 There is no mention of who owns the membership organization. Take note of the acronym “INC.” It is the abbreviation for Incorporated. An incorporated company, or corporation, is a separate legal entity from the person or people forming it. In the US, a corporation is formed according to state law, through application to the secretary of state and filing articles of incorporation. Sadly, CoinMD is not in the EDGAR database. 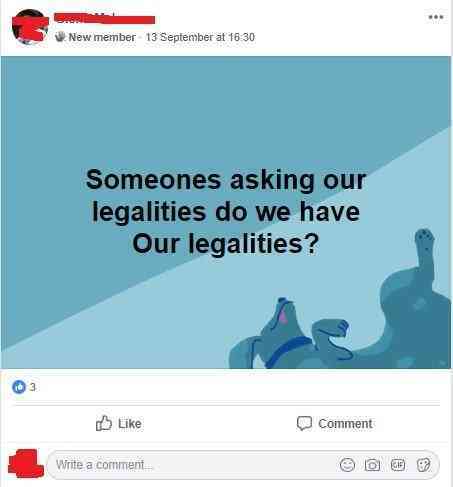 Would you deal with a company whose legality does not exist? Someone asked this in a Facebook group, and nobody dares to answer (not even their CEO). Perhaps nobody knows where this business is registered. Is the company registered offshore? Only the owner of the company can tell. There are names of officers on their website. Nevertheless, it is impossible to verify their qualifications since no other information is available on the web. In a Facebook group, I found out that Tom McMurrain is CoinMD’s CEO. McMurrain’s identity may not be known to many. Yet, for some, he is famous for stealing their money. 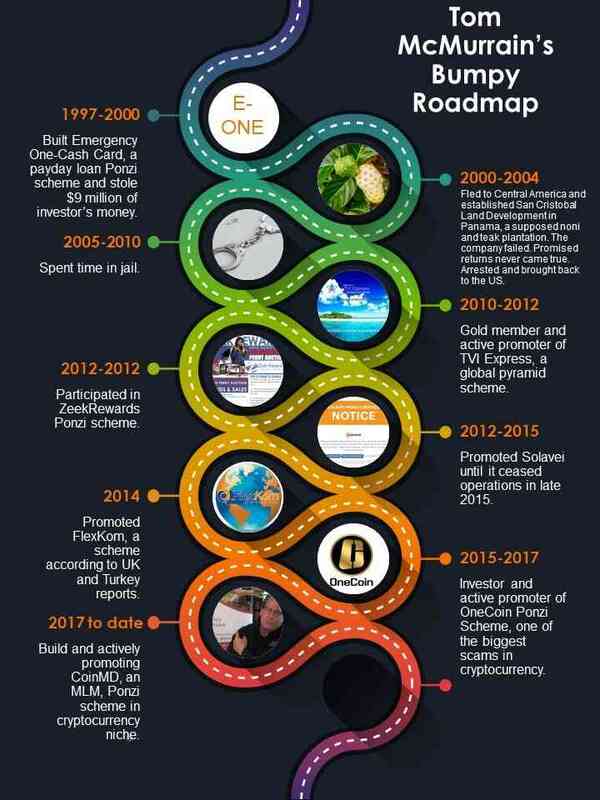 Tom McMurrain is a prominent investor and promoter of OneCoin Ponzi scheme. Then, he stopped promoting after registering CoinMD.io domain on May 3, 2017. Scam alert: The PlanProMatrix Scam. On August 21, 2018, the federal grand jury indicted Mike Scott (one of the prominent OneCoin scammers) for money laundering charges related to the OneCoin Ponzi Scheme. He was arrested on September 5. It is not clear how long the US authorities have been investigating the Ponzi scheme. However, the official indictment indicates that the DOJ has enough evidence against OneCoin operations. Hence, there is a possibility that Tom McMurrain will be jailed again. Tom McMurrain is a convicted felon. Having an ex-con as a CEO is not a good sign. To begin with, between 1997 and 2000, McMurrain stole $9 million of investors’ money in pay-day loan Ponzi scheme called Emergency One-Cash Card Inc. In 2000, after his company went bankrupt, he and his family fled to Central America. 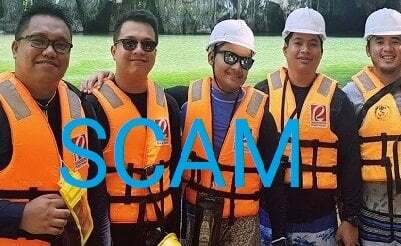 In Panama, he continued to scam other people. He established a company called San Cristobal Land Development. The company promised investors that the money they invested will be used in teak (tree) and noni (fruit) plantation and will earn high returns. But, the promise never came. He was arrested in 2004 and brought back to the US. In 2005, he was sentenced to 87 months in prison and had to pay back $7.5 million of stolen money in Emergency One-Card Ponzi scheme. After release from prison between 2009 and 2010, McMurrain joined TVI Express, which his home state Georgia declared as a pyramid scheme. Examine the infographics below. That is a timeline of Tom McMurrain’s life achievements. CoinMD intends to answer the rising costs of healthcare after retirement. Their solution: invest in cryptocurrency. The network will offer discounts, produce e-wallets specifically designed for healthcare, and reward members. Members are rewarded for living a healthy lifestyle, for using their preferred products and services, and for referring others to the network. McMurrain thinks their cryptocurrency is ideally suited to provide reliable, cost-effective healthcare for everyone in the future, regardless of their medical or financial status today. Let’s verify if their marketplace is a good choice. I took a sample of products in their market (coinmdchoice.io) which are available only to the members and compare its price to Amazon. Price of Zilis Ultra Cel at CoinMchoice.io. Price of CoreHealtPack in CoinMD marketplace. The Price of CoreHealtPack at Amazon is $47.45. Products in the company’s marketplace are higher than items found in Amazon. Would you buy a product that is listed at a lower price in the other market? Nobody with a sound mind would. Tom McMurrain is a serial scammer in cryptocurrency. Thus, he has theoretical knowledge in blockchain technology acquired during the OneCoin Ponzi scheme. A solid whitepaper must have extensive detail about the product, technology, roadmap, company structure, business model and team. Sadly, their whitepaper lacks all these things. Check this review: Ascending Profit System by Unity Network. If you review their whitepapers, they present their hopes and dreams that never existed or will never come true. What you see there are purely marketing materials. It bills itself as an open-source cryptocurrency. Meaning, its source code can be inspected, modified and enhanced by anyone. Where is the code that they are talking about? Stop dreaming! There is no code because there is no cryptocurrency. Consequently, the cryptocurrency network in CoinMD never really exist. The coin only appears in papers and websites owned by McMurrain. Tom McMurrain founded an imaginary cryptocurrency in a centralized control to fool other people, just like what he did in the past. CoinMD has no products or services to sell. Instead, people pay for their membership for CoinRewards points, the right to recruit and get paid, and other perks. To buy a membership plan, you can use CMD Tether (CMDT). CMDT, an internal currency, which can be purchased from a member. You can also fund your account with cryptocurrency (Bitcoin, Litecoin. Ether) and buy CMD on the exchange. You cannot fund your account with a debit or credit card. Price of CoinMD membership plans ranges from $0 up to $5,500. Each membership plan has a different percentage of CoinRewards and incentives. 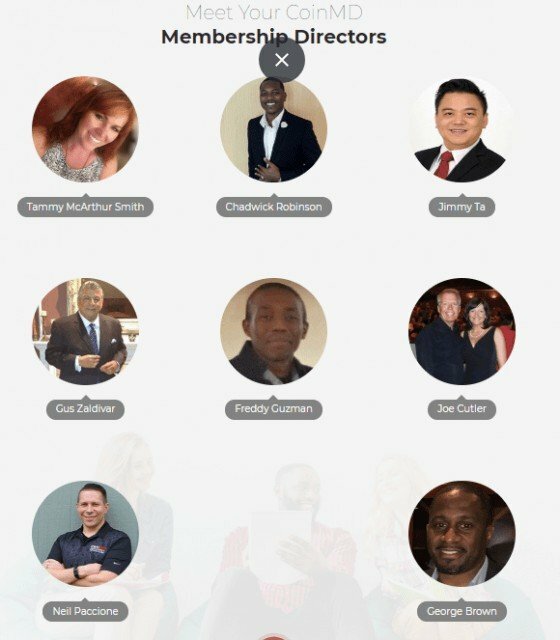 You can be a founding member for $25,000. That is their latest business proposal. Their compensation plan is quite complicated. So, we don’t have to dig deeper into that. You can examine it here. What I am going to highlight is how to get your commissions. It sounds like we found strong evidence that McMurrain’s new business is a Ponzi scheme and a Scam. CMDT is an internal currency used to purchase membership only. Accordingly, members can only sell or transfer CMDT to their upline or downline. McMurrain has devised this scheme so that members will be motivated to recruit. 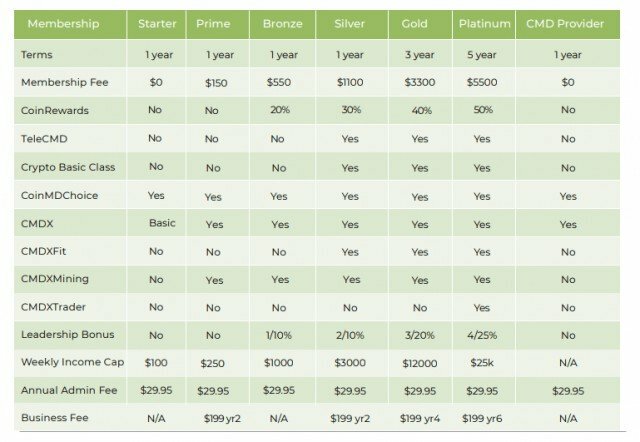 Hence, earnings are entirely dependent when others join or upgrade their plans. Who will pay for the commissions you earned? Your co-member will. Generally, McMurrain uses his veteran experience in network marketing to promote his business. A person can register for free and receives $100 CoinRewards points. However, one cannot join if he has no referrer. After sign-up, you will receive 12 annoying spammy emails in a single day. A member cannot withdraw the points if he does not upgrade to a paid membership. Since it is a requirement to have at least 16 people recruited with KYC approved before buying the paid membership plan. People in the Philippines and Nigeria are promoting the scheme. They use Facebook to post their shady ads. To expand its reach, McMurrain has tapped the online media to promote his Ponzi Scam. Several sponsored (paid posts) articles appeared in Inside Bitcoins, Market Insider, GlobeNewswire, Benzinga, etc. McMurrain condition his members to hold their imaginary coins believing that its value will increase in the future. They think it will be the next bitcoin, the bitcoin in healthcare. To make cryptocurrency looks real, McMurrain built the CMDX, the CMD exchange. In CMDX, members can buy or sell CMD. 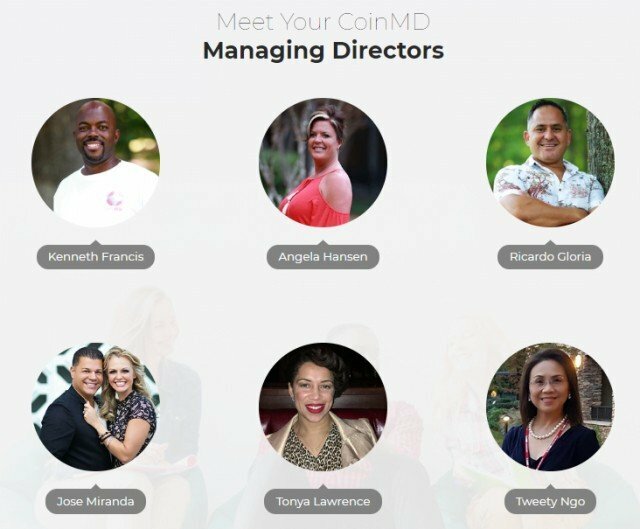 Saying that CMDX is a public cryptocurrency exchange for healthcare-centric coins such as Bitcoin, Ethereum and Litecoin is a lie. These cryptocurrencies are not health-centric coin. Moreover, I don’t think they are traded on the CMDX exchange. CMD is useless outside of CMDX because it is not publicly tradable. Beware people in the Philippines and Nigeria. CoinMD is a centralize fake cryptocurrency ready to take investors’ money when the right time comes. McMurrain can increase or decrease the price of his cryptocurrency anytime he wishes to. Initially, McMurrain set the cost of the of the coin at a low price and encourage people to invest. Believing that it will be next bitcoin, members are advised to hold on their currencies. Then, he can increase the worth of the fake cryptocurrency to encourage more people to invest. Ultimately, at any time, to steal investors funds, McMurrain can reduce the value of the coin and blame it to market conditions. He can also give any amount as rewards for sign-up. He can do anything he wants to do because he controls everything. Poor members. They do not know that they are sending money to their CEO. McMurrain takes all your money if you send bitcoin, litecoin or ether to his address. If you send a real cryptocurrency worth $25,0000.00, then good luck to you. Tom could be happily trading bitcoin right now. Yes, in my opinion, the private membership organization is selling a security. As a result, it should be subject to security laws and regulations. Under the federal securities laws, an investment contract is: (1) an investment of money; (2) in a common enterprise; (3) with an expectation of profits; (4) solely from the efforts of others. Luckily, US citizens cannot avail of their coins according to this Crypto Daily article. Perhaps McMurrain knows that when he sells this thing to US citizens, he could be jailed again for violating federal securities laws. 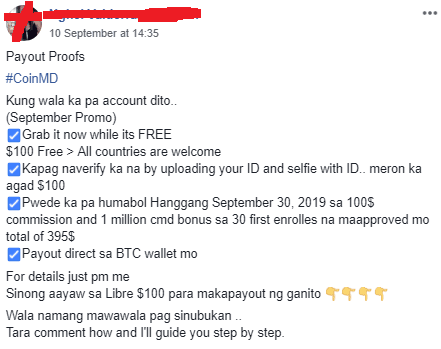 If you are in the Philippines, please report this scam to the Securities and Exchange Commission. In conclusion, CoinMD is a scam. It’s a Ponzi scheme. It pays returns based on the recruitment of affiliates. Also, the company has no products to sell other than their membership plans. The more you recruit, the more fake currency you have. Likewise, it is not clear whether the firm has a legal personality. Moreover, its filings are not in the EDGAR database. Furthermore, its CEO, Thomas E. McMurrain, has a notorious record of building and promoting Ponzi schemes and scam companies. McMurrain is a convicted felon. Additionally, its whitepaper lacks extensive details about the product, technology, roadmap, company structure, business model and team. The source code cannot be found in any public repository. It will never be the next Bitcoin. Bitcoin is real but CoinMD is a scam. Please share this review for public awareness. Subscribe to our newsletter to get updates direct to your email inbox.